470 grams of lightweight brilliance that you can hold in one hand for as long as you want – 20% slimmer and 28% lighter. If you have an iPad already, you’ll know that arm fatigue does slightly spoil the user experience. In fact, if you were to compare the two together, you’d wonder why you even put up with such a lead weight for so long! All the buttons and ports are in the same place, so you don’t need to re-learn your way around the tablet. The home button, the volume control, the power/unlock key and the Jack input are exactly where they have been before. The display remains unchanged at 9.7 inches and a 2048x1536 pixel resolution at 264 pixels per inch, and battery life is still advertised at around 10 hours (although has performed better in many tests). Apple didn’t need to make many other changes other than beefing up the internals. Other tablets in the market just haven’t succeeded so well with basic performance issues; The Galaxy note is packed with features but it’s still buggy. The HP Slatebook unfortunately has some display and battery life issues. The Microsoft Tablet appears to be a well-working tablet as far as we can see, but has somehow failed to dent the market significantly. At £399 it’s still competitive and still has an unbeatable array of apps. 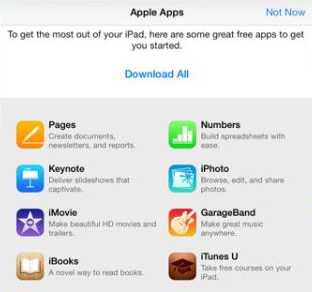 Apple have even thrown in a bunch of productivity apps for free, with full access to Apple’s iLife suite including; iPhoto, Keynote, iMovie, Pages, Numbers and Garage Band – probably as a result of Microsoft Office and Google docs available in the App Store, so Apple seem to be intent on making the iPad as useful a work tool as possible. iOS7 for the iPad Air includes some features that are not available on the iPhone, such as drop down notifications, the slide up systems settings menu and a user interface that actually makes multitasking a lot friendlier – you now can double tap the home key and swipe/slide through a card-based system to reach applications. This is the only real disappointment when so much excellence has been applied elsewhere – instead of the 8-megapixel camera on board the iPhone 5s, the iPad Air has a 5-megapixel camera – the same as its predecessor. However, the effects suite is massively improved in iPhoto which comes with a raft of photo-editing tools features. In terms of actual use, how many people like to be seen taking a photo with their iPad anyway? It seems Apple are aware of this. On the business-end of the updates, the FaceTime camera has been improved. It’s still a 1.20-megapixel setup, but now features a back illuminated sensor and images are noticeably clearer and more detailed. The iPad Air has built in global support for all 4G providers and will even recognise if you’re LTE band isn’t supported by downloading the appropriate settings to ensure you can still access your network’s 4G service. The iPad Air is definitely a flag in the sand from Apple, reinforcing market dominance above all other tablets by raising its game with performance, usability, and game-changing features for business and casual users. 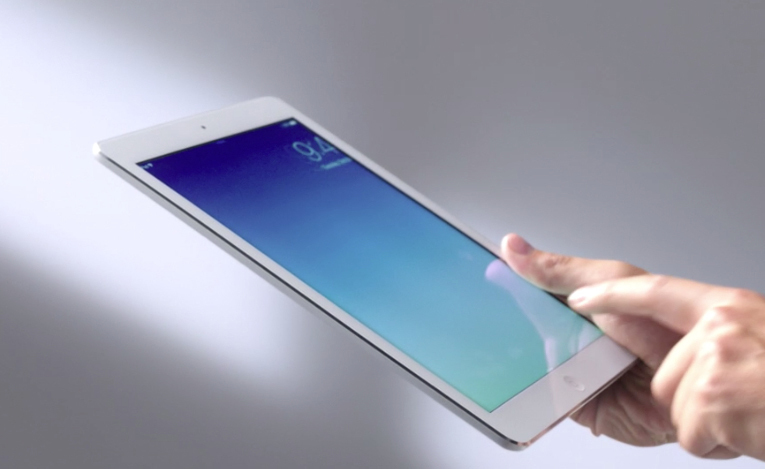 If you ditched the iPad 4 for the iPad Mini, the iPad Air will test your tablet fidelity once again. Compared to its predecessor and other tablets; lightweight, great battery life, fantastic free apps and more dedicated iPad apps than any other platform, powerful processing and a brilliant display. 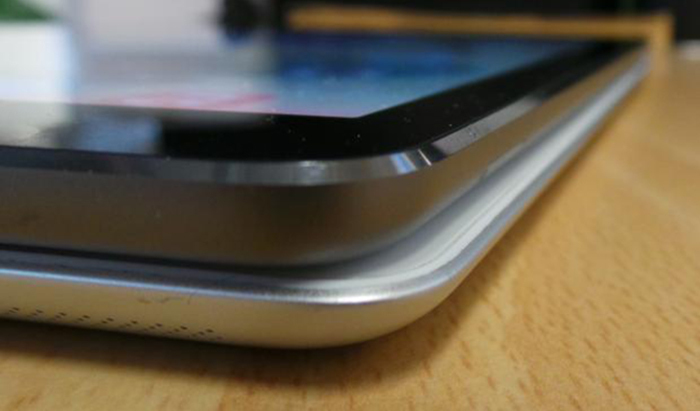 Without a cover, the back panel will scratch and scuff quite easily. 32GB is the way to go – lower storage variant (16GB) will be filled up with the hungry apps in no time.